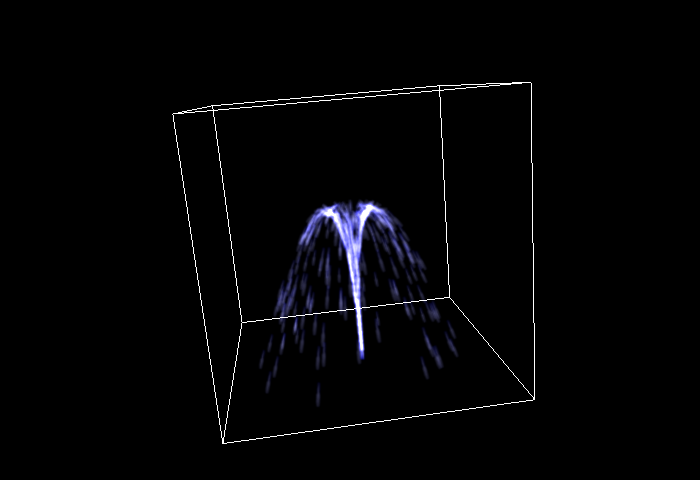 A gallery of example particle effects. Click on the images to see full-size versions of the images. You can and should download the TPE files and their textures in a zip file, as all of these are more interesting in motion. A volley of arrows. The arrows are launched from a line on the bottom edge of the effect with an initial acceleration, and use a constant gravitational force to pull them down. 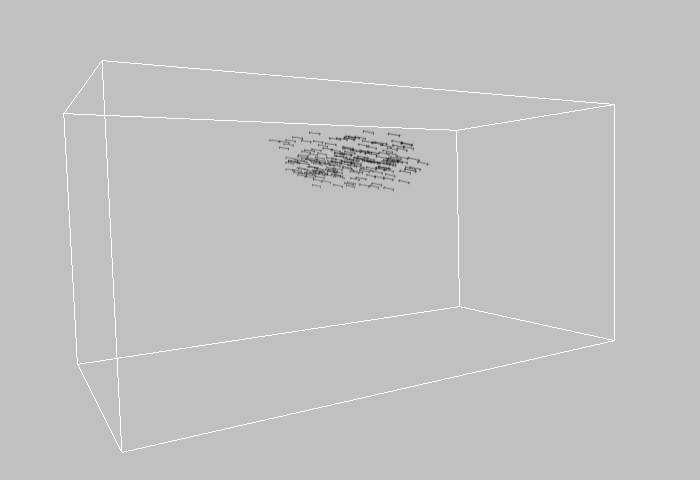 A small amount of random variation in the initial direction gives a convincing separation during flight. 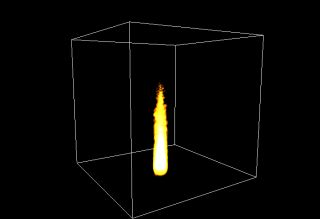 A candle flame effect achieved with additive blending of a reddish-orange texture. 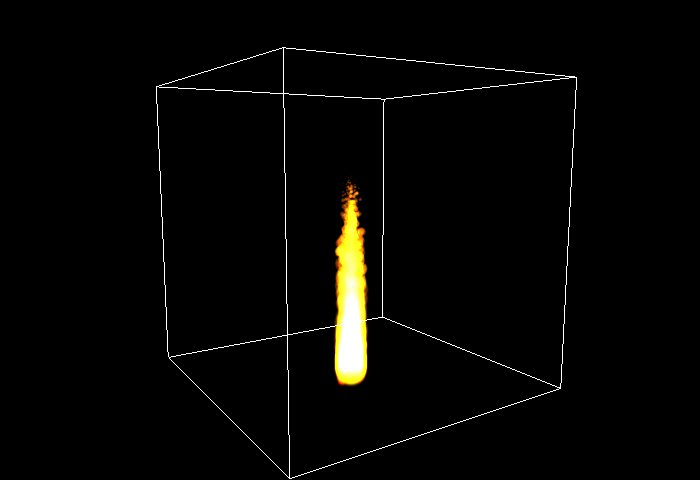 As multiple particles accumulate the reddish-orange it saturates into a white core to the flame. 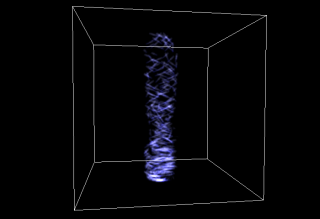 The particles are set to die off after two seconds, and steadily shrink over that time period. 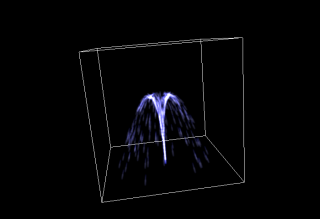 The standard particle system example, a sprinkler or fountain. 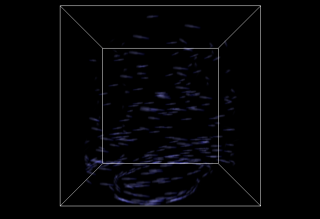 The particles are emitted from a small region at the base nearly straight up, then subjected to a constant gravitational force and a negative line attractor force along the axis of the sprinkler, which creates a spreading motion. 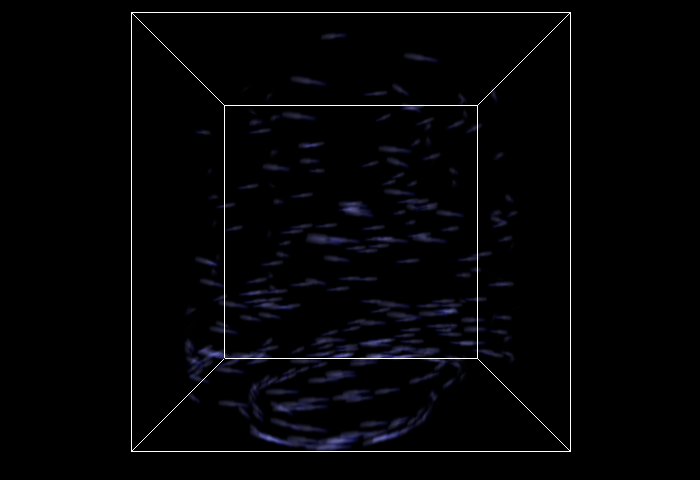 The particles are oriented with their direction of movement and use a texture that gives a line-like effect. 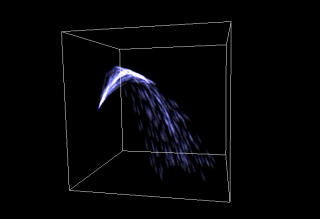 A variation on the sprinkler, the spark shower simply starts halfway up one of the edges of the effect and uses a much more random initial force. 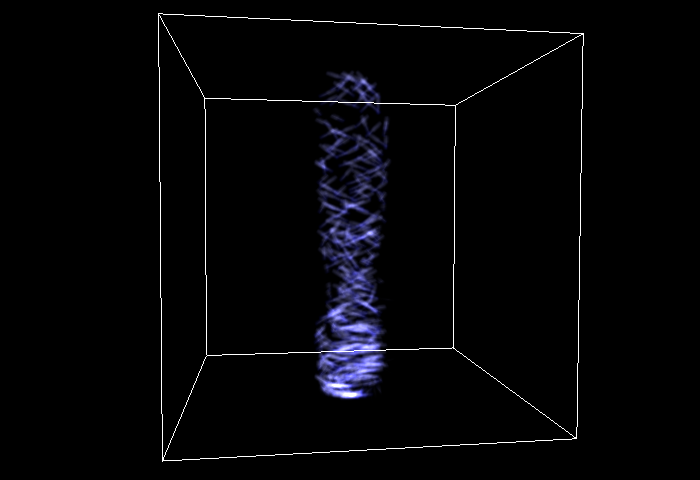 The flurry effect uses a vertical line attractor to pull an initially perpendicular particle stream into orbit. A small constant upward force causes the flurry to grow upward. 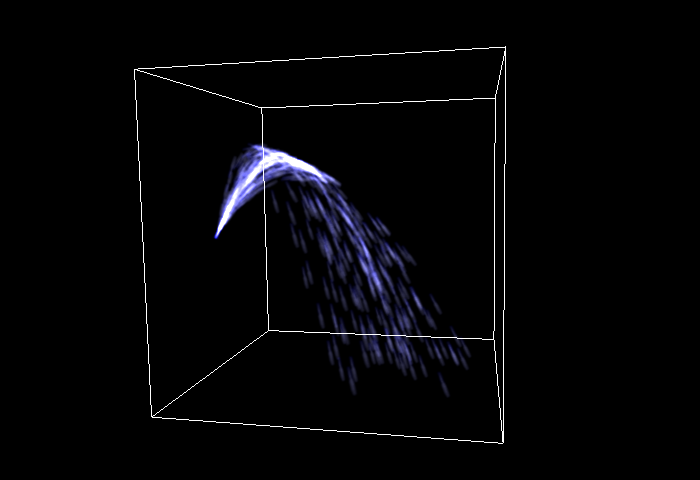 A slower, tighter version of the flurry, the vortex is my personal favorite. 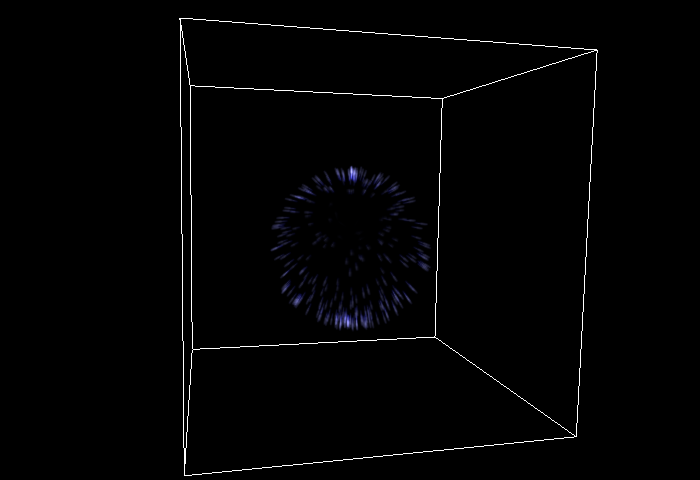 A firework effect achieved with a completely random initial direction combined with a gravity force. 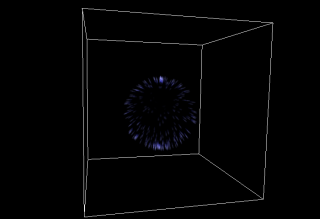 By setting the minimum and maximum update counts equal the system is forced to create all of the particles at once, over and over.